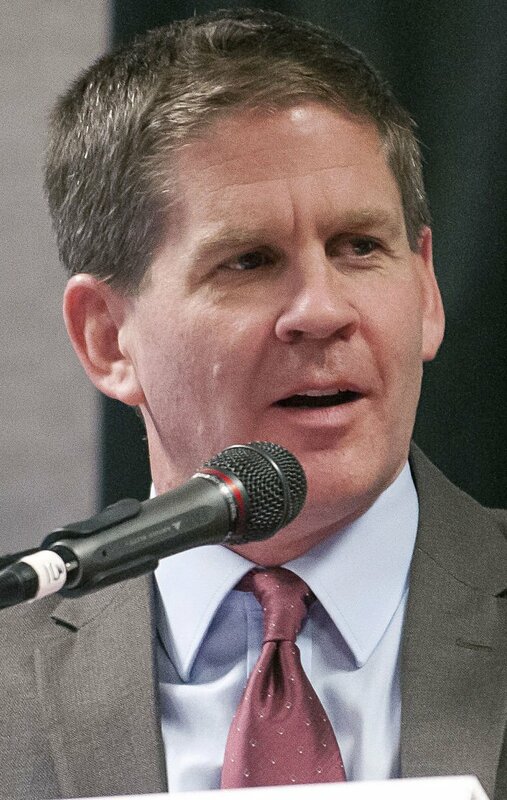 Montana's elections watchdog found Secretary of State Corey Stapleton committed four separate ethics violations when his office used a state email account and state resources to distribute a press release announcing Stapleton's bid for governor. On Jan. 2, an employee with the Secretary of State's office sent an email announcing Stapleton was a candidate for governor in 2020. A week later the Montana Democratic Party filed a complaint alleging Stapleton violated state law by sending the announcement from a state email address and on state letterhead with the state seal. Stapleton at the time said he did not see the mailing as a violation of ethics laws that prohibit the use of public time, facilities, equipment, supplies and personnel to support or oppose the nomination of any person to public office. Commissioner of Political Practices Jeff Mangan issued an order Monday fining Stapleton the maximum $4,000. Stapleton can appeal the order in Lewis and Clark County District Court. Stapleton released a comment after the order. “I apologize for the inappropriate press release. It won’t happen again,” he said. Monica Lindeen, the executive director of the Montana Democratic Party, filed the complaint. She ran against Stapleton in the 2016 election for Secretary of State. “The law is clear: Secretary of State Corey Stapleton owes the people of Montana for misusing their taxpayer dollars to announce his next political campaign,” Lindeen said. Mangan found Stapleton made four separate violations by using state facilities, equipment, supplies and personnel. Fines could have ranged from $50-$1,000 per offense. According to the order and Mangan's investigation, Stapleton wrote the press release himself and used a personal email address to send it to his chief of staff, Christi Jacobsen. Jacobsen then sent it to Susan Ames, who works in the Secretary of State's office. At Stapleton's request, Ames pasted the release onto State of Montana letterhead, added her state contact information and used her state email to distribute the release to 154 members of the media. Mangan found the press release fell into the category of political communication, saying it referenced Stapleton's "qualification and character, touting perceived successes in his current position, his background, education, work and public service history." Another paragraph referenced campaign issues, such as higher wages, lower taxes and smaller government. “Objectively and clearly, Mr. Stapleton’s press release regarding his candidacy for governor was presented in a manner that is susceptible to no reasonable interpretation other than as a call for his nomination and election to be governor,” Mangan wrote. Mangan said while state employees are allowed to use public resources to report on things like the effects of the passage or failure of ballot issues on governmental operations, Stapleton’s use fell outside of that. Had Stapleton conducted the same activity using his personal resources, Mangan wrote, the complaint would have been dismissed as frivolous. “Mr. Stapleton has a right to express his personal political views. … Mr. Stapleton does not have, however, a right to the use of state resources to express those personal political views,” Mangan wrote.